Joe has been consulting endurance athletes and athletic teams since 1996. Joe is a USA Triathlon certified coach, holds a Master's degree in Exercise Physiology and a Doctorate in Biomedical Sciences. He raced as a semi-professional track and field athlete from 1996-2000 and as a professional triathlete from 2003-2007. Joe consults with numerous individuals in industry, academia, and the health field so can be assured that if they have a question, it will be answered by an expert. Joe founded Endurance Company in 2010, but Joe has been consulting with endurance athletes and athletic teams since 1996. Through Endurance Company, Joe and his coaches, have guided over 1000 race finishers from first time 5k finishers to Ironman Kona qualifiers to Olympic Trials qualifiers. 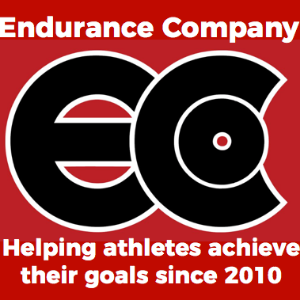 Endurance Company has grown every year since its inception in 2010 and continues to grow with more coaches, locations, and opportunities for athletes. Our focus is not only on human performance, but also on helping adults stay active, gaining fitness, improving health, and giving you the best chance to live a longer, healthier life! Joe Company, owner, is a USA Triathlon certified coach. Along with this certification, he holds a Master's degree in Exercise Physiology and a Doctorate in Biomedical Sciences. He raced as a semi-professional track and field athlete from 1996-2000 and as a professional triathlete from 2003-2007. He has coached athletes since 1996. Joe's current role in the business is to facilitate connections and provide information and guidance to athletes. He does this through his own knowledge and the knowledge of his partners and connections. Joe personally consult/advise a few professional athletes, a RAAM team, and an open water endurance swimmer. Joe limits his personal one-on-one clients to 5 to 10 athletes at any given time. I am a data-driven coach and encourage lots of data and perceptive feedback. I find the most success working with athletes who appreciate the "why" and want long-term health and performance success. Success. Coach Joe Company has been notified of your message.